Roth IRAs, CDs, stocks, insurance, your 401K . . .what are the right choices for your financial future? 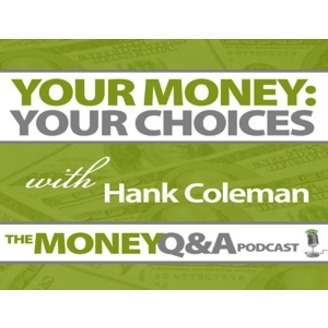 “Your Money: Your Choices” will clear out the cobwebs and confusion surrounding these concepts and more with clear and concise information. You’ll hear tips and tools that you can put into action right now to help save your hard earned income in way that will protect your future for a healthy retirement. Whether you are a single mom or a father of five, “Your Money: Your Choices” will get you on track and put your money back in your control where it belongs! If you are looking to get more publicity for your book, business, or charity, then you will want to get in on our free publicity tele-conference. The tele-conference is being held on September 19th. If you want to get in on the free call, email us at yourmoneyshow@gmail.com (mailto:www.yourmoneyshow.com) to get on the call. 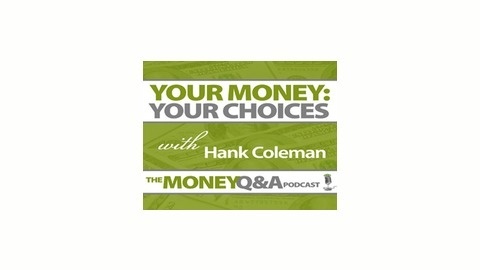 If you own your own business or you're in sales, Your Money Show t (http:// www.yourmoneyshow.com)alked about building your business and some traps that you need to avoid. If you host a website in another state or lease a server in another state, you might own income taxes or sales taxes in that state. If you own a web server in 36 states or the District of Columbia, you have income tax nexus. Some of the states say you owe tax even if there are no sales into that state. If you lease a web server, there are 26 states that say you have income tax nexus. And finally if you use hosting services there are 12 states plus the District of Columbia that say nexus would arrive. The states are now turning their attention to small businesses, especially those who use catalogs or the Internet to sell across state lines. We also talked with Bob Burg author of The Go Giver. No this isn’t a book about giving gifts to people. However it is a book about how to succeed in business by giving your time, your knowledge, your information to create value for your clients. We also talked about the death of Robin Williams and the sudden health issues of Joan Rivers. Both people did some major planning to help their family. What can we learn from the death of Robin Williams and the sudden illness of Joan Rivers?